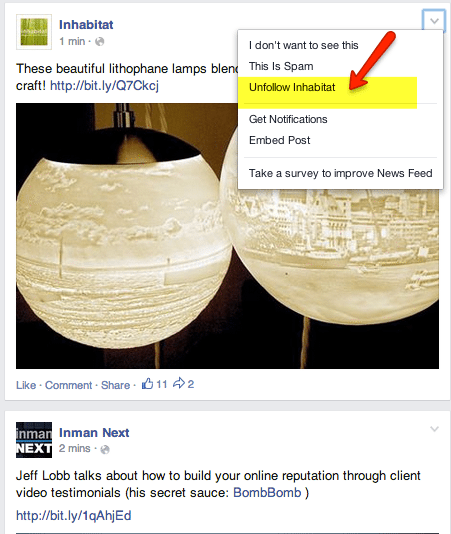 Do you feel you can liken your Facebook or LinkedIn news feed to a client’s hoarding nightmare? Are things appearing in front of you that you no longer have interest in? Great gems are hiding under that mess! Old clients and friends you haven’t heard from in a while, new potential business partners who haven’t had the opportunity to get in front of you. 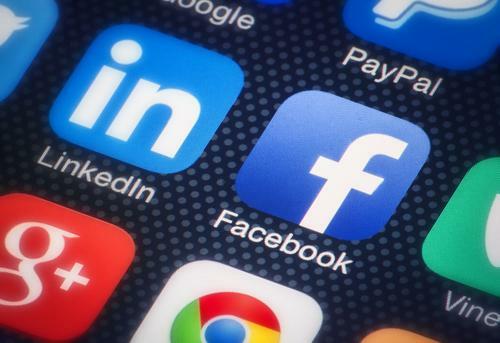 After years on social media, people have accumulated too many friends, fan page likes and LinkedIn connections that are all competing for space in your news feed. Facebook and LinkedIn think they know what is best for you, but if you clean your own house, you will see more valuable content before you. It’s time to do some spring cleaning in your news feed! And, you can do this without “unfriending” (Facebook) or “removing connection” (LinkedIn). Set aside just a few minutes to scroll through your news feed. As you see people you don’t really know, posts irrelevant to you, or posts that are straight up annoying, you can hide them from your news feed. Hover to the top right of that person or fan page’s post and you have several options to choose from. Selecting “unfollow” will remove the posts from your news feed now and ongoing, but you will still “like” the fan page or be “friends” with the person. Side note: I love Inhabitat, so I’m not unfollowing — just an example! Same first bullet as above. 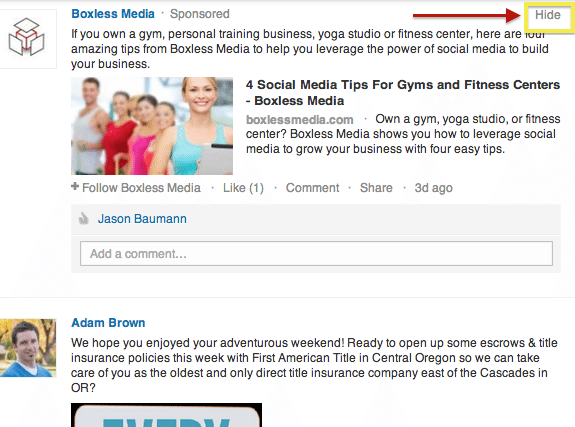 You can hide a post from a connection, a company page you follow, or a sponsored ad, as seen in this example. Do this for several unwanted individuals or fan pages in your news feed, and the next time you access your feed you may be surprised by the fresh faces of friends, clients and fan pages you actually want to pay attention to. The more rapidly you accumulate connections and follow pages, the more often you want to clean house. Sneaky bonus tip: If said individuals ever ask you, “Didn’t you see my post about this on social media? !” just blame the news feed algorithms!